Crushed by her late husband’s scorn, Vivian, Countess of Beresford, believes she is monstrously undesirable. Sadly childless, she has moved to London resigned to a solitary life. Still, when she encounters Rupert at a masquerade ball, her disguise as Cleopatra emboldens her. Convinced he doesn’t recognize her, she begins an after-hours affair with him, always in costume—while allowing him to innocently court the real her by day. But when Rupert makes a shocking choice, will Vivian be able to handle the truth? Although my latest release, Lady Beresford’s Lover, book #7 in The Marriage Game, focuses on my heroine’s journey accepting that she is beautiful the way she is, I had a great deal of fun with my male characters. Here is a scene between the secondary hero, Nicholas, Earl of Beresford and his friend the Marquis of Hawksworth. Nick promised his dying cousin that he would propose to the man’s soon to be widow. Unfortunately, Nick is in love with another woman. “What the devil do you think you are doing?” Nick growled at his longtime friend and fellow former officer, Damon, Marquis of Hawksworth. “I made a promise.” Nick clung stubbornly to his desire to have all of this finished, one way or the other. Just then, a woman in a cream gown caught the corner of Nick’s eye and he turned. Silvia. She was enchanting. Even if she could flay a man’s skin with the sharp edge of her tongue. Though she didn’t look to be doing that now. She smiled up at the gentleman dancing around her. She’d never smiled at him that way, except the once. Nick let out a low moan. 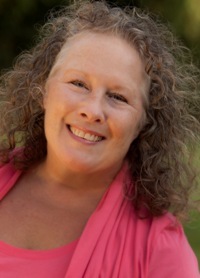 Ella is a member of the Romance Writers of American, The Beau Monde and Hearts Through History. She is represented by Elizabeth Pomada of Larsen-Pomada Literary Agency, and published by Kensington. Links to Ella’s website, blog, books, etc. Thanks, Ella, for sharing your story with us! Good morning, Ella, and welcome back to Karen’s Killer Book Bench! It’s always great to see you. I think I’m going to love Rupert’s and Vivian’s story. Thanks for stopping by to share! I hope you do!! I’m so sorry for not keeping up. I’ve been at RWA without a computer! Loved the blurb and excerpt! So much fun! I always enjoy what you write. Every book is unique. My best wishes for your continued success! Thank you, Eileen!! I try really hard to make each one special!